SoHo Walks of Fame | SoHo Memory Project. After my way-too-serious post last month about "archivism as activism," this month I decided to write about a more lighthearted subject—SoHo in the media. As I was doing my research, something interesting occurred to me. Many of the films I found were shot either on Crosby Street between Prince and Spring, or on Mercer Street between Houston and Prince. Come to think of it, these two blocks, the first where I lived until I was five years old, and the other to which we moved in 1974 and where I still live today, have appeared countless times not only on film, but in print as well. After some poking around, I came up with an inventory of media where these two blocks have appeared. What makes them so appealing to photographers and film makers? Or is it that every block in SoHo appears repeatedly in the media so I could have picked any two blocks at random? These are not the most pressing questions of the day, to say the least. But there are too many pressing questions being asked already these days. You don't need me asking any more. I'm guessing it's not MY presence on these two streets that have made them alluring to visual artists over the years. Then what is it? Your guess is as good as mine. Let me know if you have any ideas! 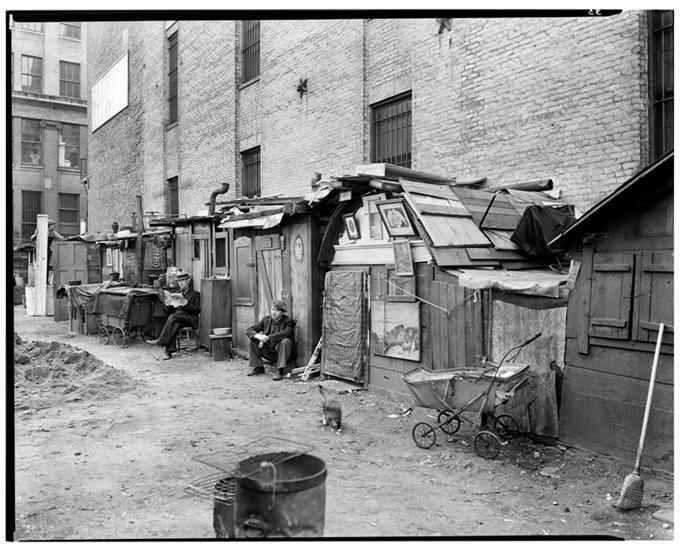 Berenice Abbott shot this mini-Hooverville on Mercer and Houston in 1935, during the Great Depression before SoHo was SoHo. 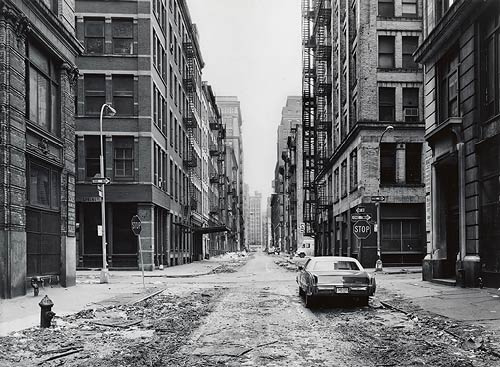 Thomas Struth caught the essence of 1970's SoHo streets in this 1978 photo of the corner of Crosby Street and Spring Street looking north toward Prince. I had already moved out by the time this was taken. This Chanel ad, shot in front of my building on Mercer Street, appeared in Vogue, among other major fashion magazines, in the early 1990's. I always wondered why the paparazzi were photographing her from behind. Note the photoshop job on the garage sign in the background. And speaking of paparazzi, countless photos taken in front of the Mercer Hotel, where photographers camp out around the clock, have appeared everywhere. Here, Christina Aguilera takes her dog out for a walk. This is a photo of me and my sister in ca. 1973 standing in almost the same spot at Taylor and Harry, back when it would have been absurd to even think about building a hotel in SoHo. 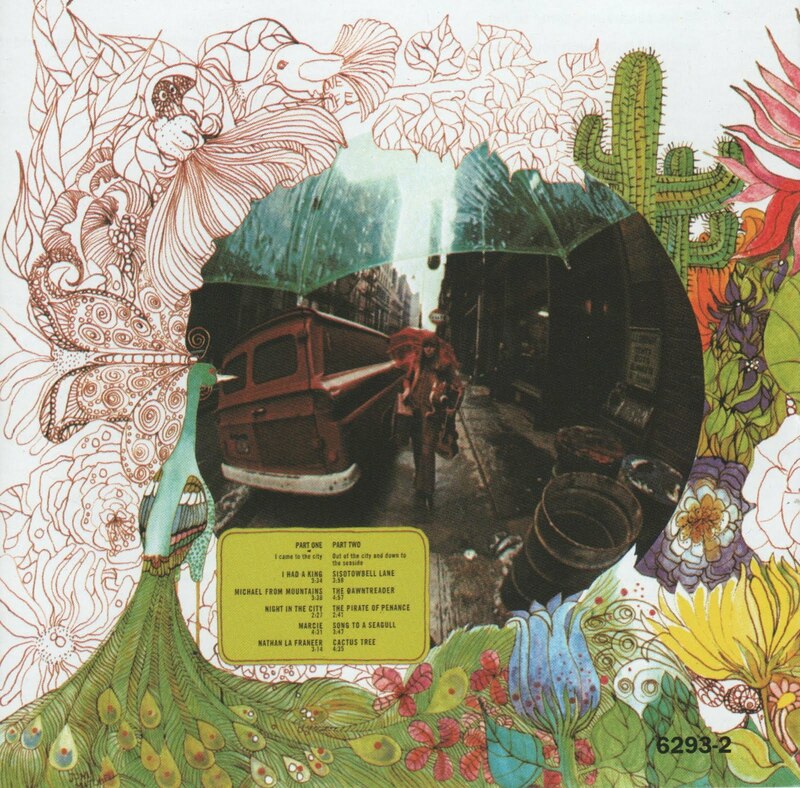 This is the back of the album jacket of Joni Mitchell’s 1968 Song to a Seagull. 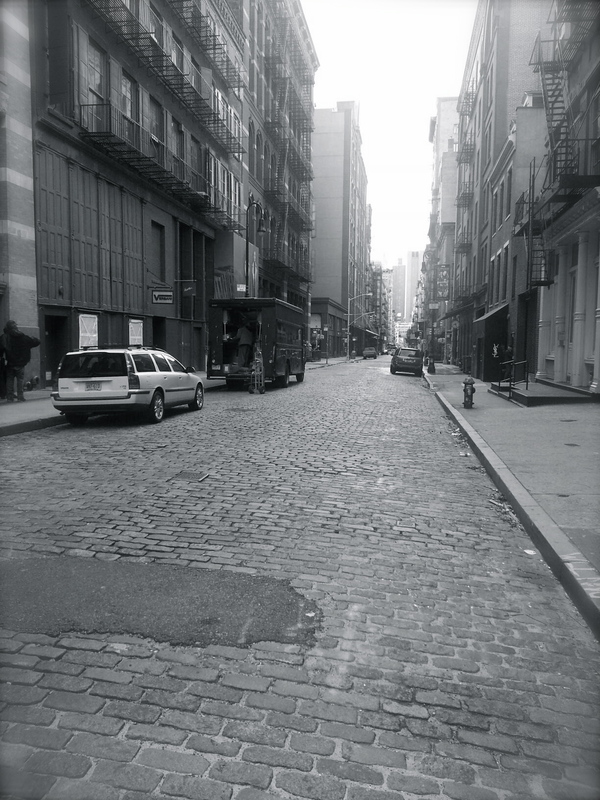 The photo was taken on my block, outside 169 Mercer Street looking south. Growing up on Mercer Street, I owned and often played Billy Joel’s 1983 An Innocent Man. 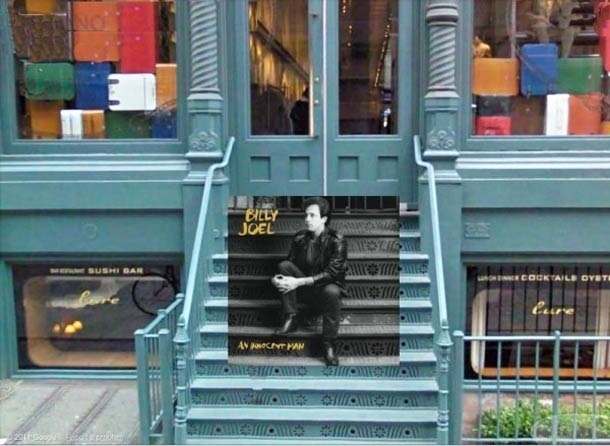 Looking at the jacket photo, I had no idea that he was sitting on my block, on the steps of 142 Mercer Street at Prince, at what is now the Prada Store. I was clued in to this video by Alex at Flaming Pablum, who describes it as "an ancient, pre-Hip Hop Beastie Boys video wherein the fledgling foursome (back when future Luscious Jackson member Kate Schellenbach was still in their ranks) and their youthfully punky pals are depicted frolicking with juvenile abandon amid what looks like the then-grimy, industrial streets of SoHo." Much of this video was shot on Crosby near Spring, where the parking lot used to be. Sean at The SoHo Alliance recently sent me a link to this trés trés groovy video “On the Sunny Side of the Street” by Pizzicato Five, shot almost entirely in SoHo, a good portion of it on my block. Anyone care to guess when it was filmed? It’s pre-Mercer Hotel, there are shots of the Prince Street Station post office and Jerry’s is still there as is the Prince Street Bar. Although I never saw the film, I remember when they were shooting State of Grace with Sean Penn, Gary Oldman and friends, which came out in 1990. They must have done twenty takes of this scene until they got it just right. 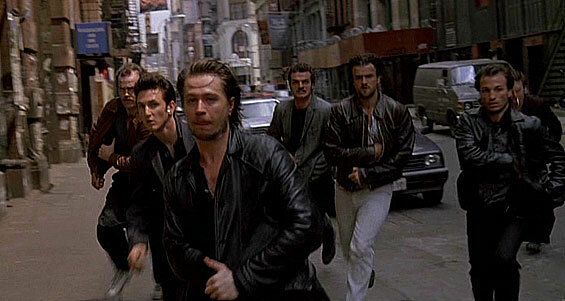 They also shot a scene inside Fanelli's, where these trigger-happy guys are headed. 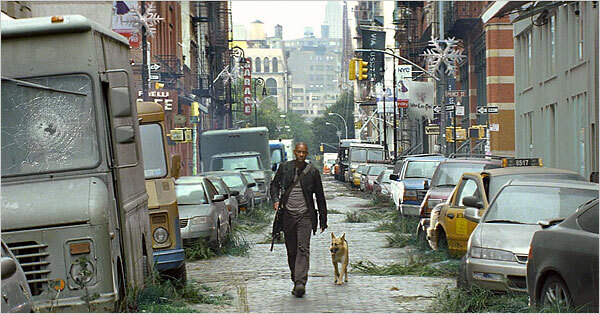 Here's a heavily-CGI-ed shot of our block from I Am Legend, the 2007 film starring Will Smith as one of a handful of survivors in a post-apocalyptic New York City. 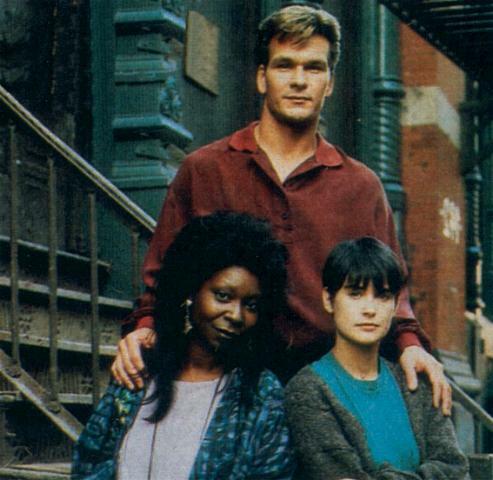 And who can forget Ghost, the 1990 romantic thriller starring Partick Swayze and Demi Moore. 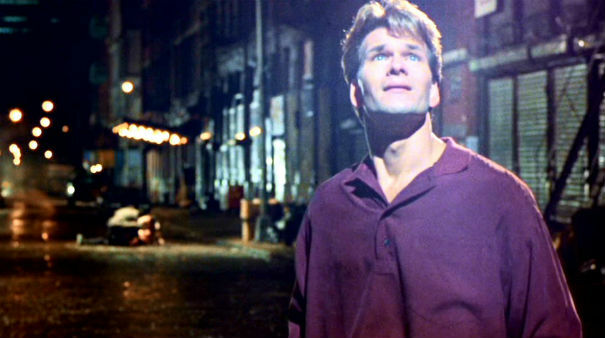 In this scene, Swayze's character is shot right in front of my old house at 97 Crosby Street during an attempted robbery. This cast photo from Ghost was taken on my current block on Mercer Street, in front of the (now) Prada Store, where Billy Joel shot his album cover yeas before. 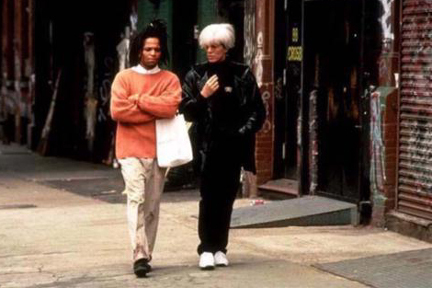 Here, Jeffrey Wright as Jean-Michel Basquiat and David Bowie as Andy Warhol stroll down Crosby Street across the street from my old loft in Julian Schnabel's 1996 biopic Basquiat. 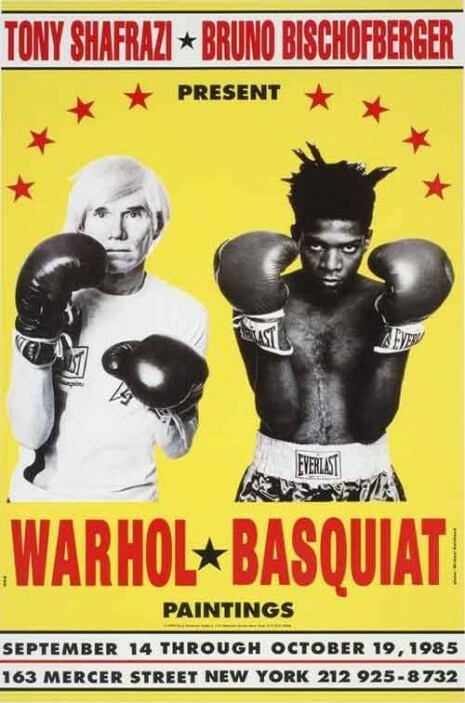 Someone recently told me that Basquiat lived next door to our building at 97 Crosby about 10 years after we moved out. 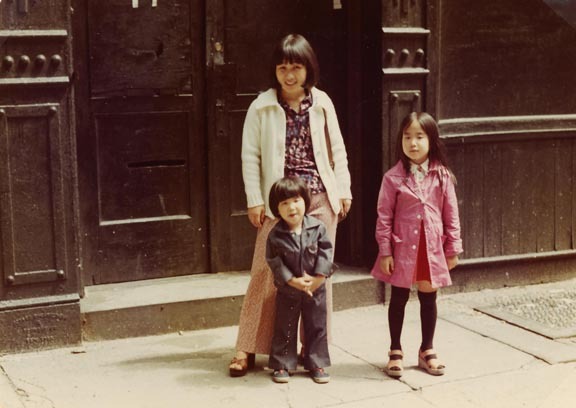 My mom, my sister, and me standing on the same black in front of our building on Crosby Street, ca. 1975. 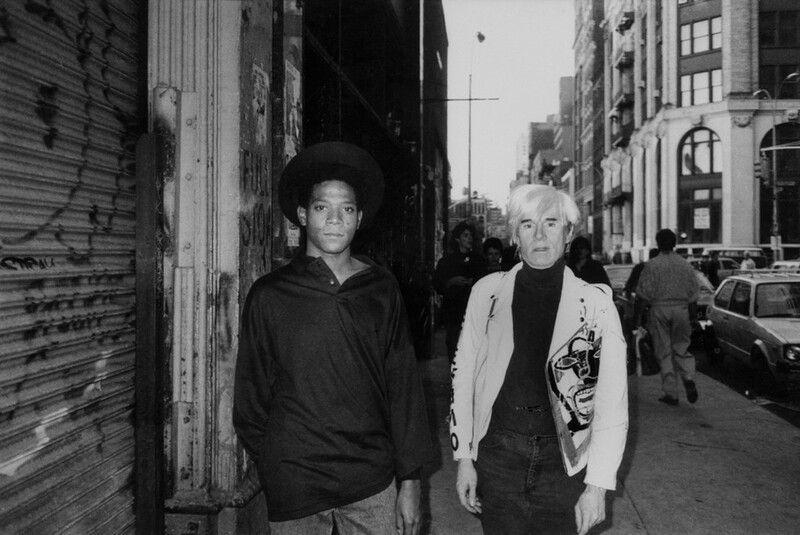 Here, the real-life Jean-Michel Basquiat and Andy Warhol pose for a picture on my block on Mercer Street. The Marc Jacobs store next door to my house used to be the Tony Shafrazi Gallery, where Basquiat and Warhol once had a joint show.